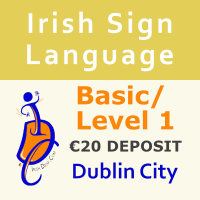 Irish Sign Language (ISL) Basic - Level 1 Course (6 weeks) Full payment €130 &n..
Irish Sign Language (ISL) Basic - Level 1 Course (6 weeks) Net payment €110 (If deposit.. 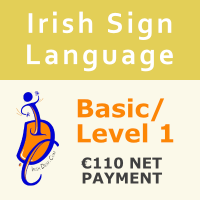 The net payment of €475 if the deposit of €20 is paid. 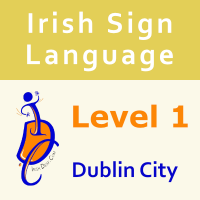 The course is running at:Macro Community..
New Online Irish Sign Language (ISL) Level 1 Course If you have already completed the Basic Irish.. 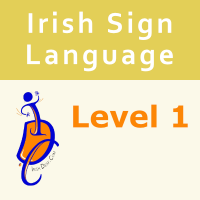 Learn Irish Sign Language Level 2 online. This payment allows you to learn this course with 6 m..